Thank you, thank you all for coming. Even if it isn't actually Post No. 1000, this post commemorates my having posted 1000 times here. Well, anyway, I never did become the token male among the mommy bloggers. Turns out there are all sorts of stay at home fathers who, in essence, are mommy bloggers. And the few 'sticky note'-type posts and the occasional cartoon posts are more than outweighed -- crushed under the verbiage, really -- of my typical much looooonger posts. I hit the 100-post mark at the end of August 2006. At the time (using "the Narrator" alter ego -- another device that's never caught on) I compared a sitcom hitting 100 episodes to a blog reaching 100 posts. The 100th episode of a sitcom, I wrote then, "is a cause for great celebration, not just for the fans of a beloved TV show, but for the producers and actors and anyone else who stands to profit from syndication." The 100th sitcom episode is often a special one, filled with inside references for devoted fans. "In studied contrast," I said then, "all 100 [blog] posts mean for certain is that the blogger is sufficiently stubborn, delusional, or at least sufficiently self-absorbed to keep plugging away." I try to write something here every weekday morning before plunging into the day's work. Some days work must take priority. It probably should be given priority more often... but Second Effort has become an important exercise for me. I've noticed there are days when writing this blog is all I can do. Yesterday was one of those days. This point was really driven home for me a couple of years ago when I was recovering from my cancer surgery: I couldn't work at all -- I couldn't force myself, no matter how hard I tried -- but I could recount my hospital adventures. And, despite the large quantities of painkillers I was taking at the time, much of what I wrote then was in complete sentences. And, what a coincidence. Today just happens to be the second anniversary of my successful cancer surgery. Well, anyway, I appreciate all of you dropping by. If you see anything you like here -- not this post, obviously -- feel free to tell a friend about it. If you see something you don't like, tell an enemy. I'll take readers any way I can get them. I hate to cut all this merrymaking short... but I didn't come into the Undisclosed Location this morning just to write this post. Actually I hope to get some of the work done this morning I couldn't do yesterday. Thank you again for stopping by. We're getting ready for the big 1000th post party here at Second Effort. Actually, I think the post counter has already inched past the 1000 mark -- but it's still recent enough that it remains appropriate to note the occasion now. Besides, a lot of those prior 1000 posts have been pretty feeble, OK? And, let's face it, Curmudgeon is such a long-winded gasbag that I couldn't exactly get him to hold up posting while we set the thousandth post party up... I did try. And the worst of it? Whatever he comes up with will be anti-climatic. How could it be otherwise? But sit back, stay tuned and prepare to be disappointed... perhaps as soon as tomorrow. They're all after Senator Roland Burris to resign now -- the Chicago newspapers, civic groups, most of his fellow Democratic pols -- now that it has been revealed that Mr. Burris' ties with the now-impeached Governor Blagojevich were more extensive than originally admitted. The Senate Ethics Committee is investigating and Mr. Burris' testimony before the Illinois House Impeachment Committee has been referred to the Sangamon County State's Attorney for a perjury investigation. I'm not so sure I want to join the chorus for Burris' resignation. Let me explain. The picture at the top of the page shows Roland Burris conferring with an Illinois congressman before President Obama's Tuesday night address to a joint session of Congress. 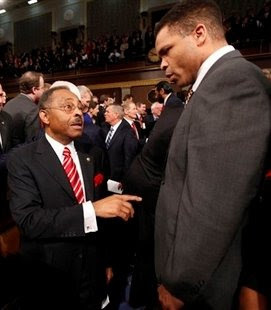 The congressman in the picture is Jesse Jackson, Jr. -- or Senate Candidate 5, as he is known in the FBI Affidavit that accompanied the initial criminal complaint against Blagojevich. According to some stories, Jackson was reportedly willing to raise a million bucks for Blagojevich in return for the appointment. There are other reports that persons who would have organized and contributed to the fundraising for Rep. Jackson are singing to the Feds. I do not pretend to know if this may be so. But suppose it is. The reason why Senate Candidate 5 was supposedly willing to raise a million bucks was because Blagojevich had other prospects who were also supposedly willing to raise large amounts. But not Burris. The most that Blagojevich apparently asked of Burris was that he come up with $10,000 -- and Burris didn't even raise that. And yet Burris not only got Obama's seat for himself, he got a plum job for his kid besides. Thus, perhaps a reappraisal of Mr. Burris is order: If he can get results even half as good for the people of Illinois as he seems to have gotten for himself, he should not only not resign, he should be elected in his own right in 2010. Yes, your Honor, I think I can tie this up. According to Phil Rosenthal's February 23 article for the Chicago Tribune, in the course of his recent tirade (see above), Chicago-based CNBC commentator Rick Santelli hollered, "This is America! How many of you people want to pay for your neighbors' mortgage that has an extra bathroom and can't pay their bills? ... President Obama, are you listening?" The video above confirms that Mr. Santelli received an enthusiastic response from the traders on the floor. And, as Rosenthal reports, the White House was listening -- and was not amused. "I feel assured that Mr. Santelli doesn't know what he's talking about," Rosenthal quotes White House Press Secretary Robert Gibbs as saying. And in this sense Gibbs is right and Santelli is wrong: There's nothing new about people who are pulling their own weight subsidizing those who can't make it on their own. That's what a portion of our taxes have done in one way or another since at least the New Deal. But here's the problem: We're not bailing out people who are simply down on their luck, or mere victims of circumstances. A lot of the people who are in foreclosure or "upside down" on their mortgages should never have gotten mortgages in the first place. Not even close. So America is being asked to bail out thousands and thousands of people who shouldn't ever have been put into this position in the first place. At the height of the craziness it seems that anybody who could sign their name could get a mortgage. Why? Well -- for one reason -- mortgage brokers got paid anytime someone got a mortgage. For another, banks looked the other way at applications from hopeless cases. After all, the bank making the loan was just going to package and sell the mortgage anyway: It never planned on dealing with the consequences. And, besides, the unqualified loan customer could always sell -- because property values only go up, right? So even the hopeless cases might even make some money during the few months that they managed to handle the payments. And then there were the balloon payments. In 1982, when Long Suffering Spouse and I were looking for our first house (when we started looking interest rates were up around 20% -- and that was with a 20% cash down payment), even we knew balloon payments were trouble. Maybe someone who was working for a company that transferred the family every three or four years would be better off with a balloon -- but, for anyone else, getting a balloon loan is like buying dynamite in the store with the fuse already lit and hoping to get it in place at the mine in time. But people were being steered into these products -- allegedly to save $50 a month or something on interest -- but really in the hopes of guaranteeing another loan commission down the road. And then there were the outright frauds: The mortgage brokers cooperating with appraisers and lawyers who 'sold' parcels to one straw person after another, artificially inflating the price of the property -- and all neighboring properties -- with each phony sale. Octomom, with six kids already, goes to a fertility clinic, for fertility treatments. And now she has eight more. And now, your Honor, you see where Nancy Reagan is coming in, don't you? We'd all be better off... if responsible people had just said "NO!" This one's for the Language Police everywhere. Is this the current version of "pull my finger?" The links will take you to the Yahoo! Comics and Houston Chronicle websites from which I obtained these images. But I saw them this morning in the Chicago Sun-Times... in actual newsprint! Luddite that I am, I know nothing of Kindle, of course. But I am acquainted with the collected works of Douglas Adams. (And I know where my towel is at all times.) This one made me laugh out loud. The 'charity stripe,' for the uninitiated, is another term for the free throw line in basketball. It is a wizened sports cliché -- a term so ancient, in fact, that I don't even know if young basketball players would recognize it. But I couldn't help but recall the term when I read this AP story posted on Rivals.com. DeKalb, Illinois lies about as far west as you can get and still arguably claim to be in the Chicago area. At least, if you're driving home from Iowa along Interstate 88, when you see the signs for Annie Glidden Road and Northern Illinois University, you know that the trip is... finally... coming to an end. But the long trip got even longer than expected: The game did not start on time. In fact the game almost was canceled. A kid on the Madison team lost his mother that afternoon. She'd had cancer, but she'd been in remission. Saturday morning, though, Carlitha Franklin began to hemorrhage. By late in the afternoon, as her son and several of his teammates worried and prayed and hoped at the hospital, the decision was made to turn off the life-support system. The Madison coach would have canceled the game; the DeKalb coach would have understood. But Carlitha's son, Johntel, a senior captain on the team, wanted the team to play. So the game started... an hour late. Johntel came over from the hospital before halftime to cheer his teammates on. The Madison coach called timeout. The Madison players went over to hug their captain. Fans came out of the stands to do the same. The coach asked Johntel if he'd like to sit on the bench. But, at that point, Johntel decided he didn't want to sit. He wanted to suit up and play. There was one problem -- truly a technicality. Johntel was (understandably) not on the roster submitted to the referees before the game. If he entered the game, a technical foul would be called on the Madison team. DeKalb would get two free throws... and, well, it was a close game. You might even have understood, I think, if Madison Coach Aaron Womack, Jr., had told the grieving young man to just take a seat and let the others carry the load tonight. But Coach Womack didn't do that. He understood that Johntel needed to play. He told the young man to get his uniform. The DeKalb kids knew the circumstances. When Johntel was inserted into the game, the penalty was called. DeKalb Coach Dave Rohlman and his staff argued with the refs about the call: They didn't want the penalty, they wouldn't take the shots. Play was stopped for another five minutes or so while the debate raged. [Rohlman's] senior captain raised his hand, ready to go to the line as he had many times before. "You realize you're going to miss them, don't you?" Rohlman said. Darius McNeal nodded his head. He understood what had to be done. He went alone to the free throw line, dribbled the ball a couple of times, and looked at the rim. His first attempt went about two feet, bouncing a couple of times as it rolled toward the end line. The second barely left his hand. It didn't take long for the Milwaukee players to figure out what was going on. They stood and turned toward the DeKalb bench and started applauding the gesture of sportsmanship. Soon, so did everybody in the stands. "I did it for the guy who lost his mom," McNeal told the Milwaukee Journal Sentinel. "It was the right thing to do." There are so many negative stories from the world of sports these days. But this is a story that makes you want to cry... for all the right reasons. And it struck me that this was a particularly good story to talk about at the beginning of Lent. If only we had known then... could we have avoided how things have turned out? I found this amusing. Sobering. But amusing nonetheless. Welcome to the Paczki Day edition of Heads or Tails, the tantalizing Tuesday tone poem orchestrated by Barb. This week we are asked to write about "case" or something that rhymes with "case." Actually, it's tougher than you know because I'm on deadline on a brief. Well, two briefs. In two different cases. One I expected to write but I expected to merely contribute to the other. Things change. 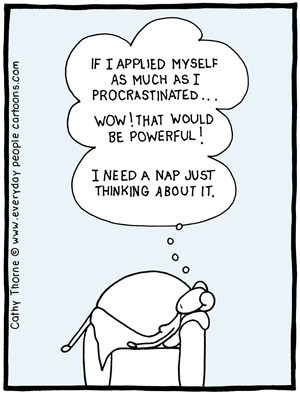 And there's a couple of emails with large attachments I need to read as well. And there's two Federal cases that are driving me crazy... for different reasons. So let me share this story of a real case that I first wrote about in 2007. I'll see if I can't edit it a little... you know? polish it a bit? The Tenant family alleged that Daughter Tenant, 21, had an epileptic seizure while exiting the shower. She fell, unconscious, into a scalding hot pool of water on the bathroom floor. She suffered facial scarring as a result of this event and her family charged that it was the leaky bathroom radiator that had caused the pool of hot water. The family heard a loud noise when the incident happened, forced open the bathroom door and rescued the girl from further injury. Of course, radiators are supposed to be hot -- especially in January when this accident occurred -- but they're not supposed to leak pools of scalding water. So the Tenants sued the Landlords. I represented the Landlords. I arranged for the girl to be seen by a plastic surgeon to evaluate the scar. The plaintiff's attorney couldn't complain: I was going to have the scar evaluated. Sometimes that means the defense is thinking about settlement. Could the scar be reduced? Could it be removed? At what cost? But I also asked the surgeon to evaluate, if he could, how the scar was formed. What he told me -- and what he told the court in an Affidavit -- was that the scar was consistent with a burn caused by direct contact with a heat source -- and inconsistent with a scalding burn. He opined that Daughter Tenant fell against the radiator; otherwise she would not have received the kind of scar she exhibited. The girl couldn't contradict any of this; she'd been unconscious. And the family members found her on the floor, but that was not inconsistent with her slumping there after being burned. As for the water on the floor? The shower was still running. The court granted us summary judgment: That means there was no trial. The court decided the case as a matter of law, finding that the girl could not hope to prove her case against the Landlords. An appeal was filed, but it was not pursued. Dr. and Mrs. Landlord testified at their depositions that they were deeply hurt by the tenants' suit. After all, did they not always help Mrs. Tenant bring in her groceries when they saw her coming back from the store? And didn't Dr. Landlord always take down the garbage from the back porch when the Tenants left it there? They were always around the place, they said, tending it, fixing it, maintaining it in pristine condition. I think there's a secret school somewhere where landlords -- from every background -- are taught to say the same things. If anyone had asked, I was quite sure that Mrs. Landlord would have claimed to have brought homemade chicken soup to the Tenants' apartment whenever anyone had the sniffles. And the Tenants, too, had all the clichés down pat: They only saw Dr. Landlord on the first of the month, when the rent was due. He was impossible to miss on that day -- and impossible to find at any other time, particularly when repairs were needed. And repairs were frequently needed because the Landlords didn't maintain the building at all: Wasn't it the leaking bathroom radiator that was the cause of their daughter's injuries? They harangued the Landlords about the shoddy condition of their apartment... whenever they could track either of them down. The Landlords, husband and wife, were recent immigrants from South Korea. He was a doctor in his native country; he never qualified to practice medicine in this country, though. His English was never quite good enough. Both my clients had a Korean-English translator for their depositions. What sort of privacy should we demand? What can we hope for? Dave's comment to this Friday post about the proposed vehicle miles traveled tax (VMT tax) deserves a thoughtful response. The VMT may be DOA but the privacy debate is as important as ever. You're making me feel guilty for not being outraged. I guess you should have caught me on this decades ago, when I didn't fill out my long form census form because I thought it was too invasive. Since then I've been worn down. Business and government know tons about me and you from our utility, credit card, computer and cell phone usage. Since I have a smart phone, T-Mobile and who knows who else knows everywhere I went to day, except maybe when I was down in Middle Georgia with no signal (but I think the GPS was still transmitting, I didn't check). I tend over the years to slowly give up my privacy as the upside of technology seems to make it worth it. It seems to me that it is one for thing for my "neighbors" to know what I'm up to -- and quite another thing for the "sovereign" to know. In the rugged, bygone (and certainly idealized, if not entirely imagined) frontier days, everyone in any given area supposedly knew everyone else's business: Jones was a good farmer, Smith beats his wife, 'ol Tom is a hard drinker.... Today, we live closer together but there are so many more of us and we are often strangers to our neighbors. We don't sit out on the stoop on nice evenings and watch the passing human parade. Like as not, in many neighborhoods where houses still have front stoops, it is easier to pick up a stray bullet there than you can a sense of the community. We sit in our dens, instead, watching TV. Many of us, though, still belong to various communities that know our business -- churches, schools, bowling leagues, fraternal organizations, ward organizations.... These people know our business; we have limited privacy with them -- and we don't mind it too much. We have chosen the association. Back on the frontier, Smith might not have been happy that everyone in the county knew he beat the missus -- but Mrs. Smith was probably grateful that the neighbors' disapproving knowledge put at least occasional brakes on Mr. Smith's behavior. And the Smiths chose to carve their farm out of the woods or prairie in that frontier county. Technology makes intrusions into our privacy, too, but a lot of these are outgrowths or extensions of that kind of community privacy: When I give my Jewel card at the grocery, a computer makes particular note that I bought Cheerios, Doritos and Crest toothpaste. This lessens the odds that competing products won't crowd my favorites off the shelves the next time I come to the store. Maybe the store will send me coupons for something I use -- or something similar to what I usually use, in hopes I might try that instead. I think Dave is unfair when he says that both "[b]usiness and government know tons about me and you from our utility, credit card, computer and cell phone usage." Business knows. But "business" can't whisk me away in the middle of the night. Government knows a lot about anyone who pays taxes of course. The government knows my income, and my sources of income, and whether or not I have any taxable investments, and just how much they tanked in the last year... but they don't necessarily know if I prefer Cheerios to corn flakes. AT&T may be able to trace my cell phone signal -- but the government doesn't know who I've called or where I've called from unless AT&T tells them. Back in the frontier days, the government was something remote. The government didn't know about Mr. and Mrs. Smith's domestic difficulties. If their problems became relevant to the government for some reason -- Mrs. Smith filed for divorce, for example (divorce at one time being a legislative function, sometimes an exclusively legislative function, particularly in the American South) or, worse, Mr. Smith killed Mrs. Smith, the government could find out what it needed to know from the Smiths' neighbors. There had to be a reason -- a justification -- for the sovereign to invade the privacy of its citizens. This is still, largely, the way it works. But not always. But even in this example, the government was gathering information about citizens from businesses -- analogous, arguably, to the government gathering information from the Smiths' neighbors on the frontier. Of course, in the current economic crisis, when private businesses are surrendering stakes in their ownership to the government, the lines are blurring. This is another reason to be extraordinarily cautious about allowing government into private boardrooms -- except with subpoenas, summonses and handcuffs. Lots of handcuffs. The VMT tax would invade the citizens' privacy without even the pretense of obtaining private information from businesses that had gathered it. No, data would be collected and transmitted and citizens would be billed according to their driving habits... patterns and habits which now the government would know. It is one thing to let government put a meter on your municipal water connection; in theory you could always move to the country and dig a well and avoid the intrusion. But there would be no getting away from a VMT tax. And how far could we get then? So: intrusions on privacy should be weighed, not just according to the promised benefit, but according to who is intruding. More and more technology will make us 'visible' to our neighbors and to the businesses that harvest information about us -- but this does not mean we should allow government the same sort of access. That's when we release the outrage, OK? President Barack Obama on Friday rejected his transportation secretary's suggestion that the administration consider taxing motorists based on how many miles they drive instead of how much gasoline they buy. "It is not and will not be the policy of the Obama administration," White House press secretary Robert Gibbs told reporters, when asked for the president's thoughts about Transportation Secretary Ray LaHood's suggestion, raised in an interview with The Associated Press a [day] earlier. So put the paving stones back... for now, anyway. In the meantime, I need to formulate a response to Dave's comment to yesterday's post. I'll get back to you on that. President Obama's Secretary of Transportation, former Illinois Congressman Ray LaHood, is quoted in this AP interview by Joan Lowy (the link is to the Chicago Tribune website) as at least considering a vehicle miles traveled tax (VMT tax) to replace gasoline taxes. The idea is to charge "motorists based on how many miles they drive rather than how much gasoline they burn" -- something that will become particularly relevant if America really does adopt more fuel efficient cars or (even better) cars powered by fuels other than gasoline supplied by America's enemies. Put that way it doesn't seem so dangerous, does it? A "blue ribbon" panel, according to linked article, will release a report next week recommending this -- so we are not dealing here with tin-foil beanie paranoia. We are, however, on the verge of creating a system where the Government will know where you are, where you've been, how you got there, when you got there.... Is any of this making you uncomfortable yet? Is any of this making you furious? The idea of a VMT tax has been floated in several states, among them Massachusetts. According to Lowy's article, "A tentative plan in Massachusetts to use GPS chips in vehicles to charge motorists by the mile has drawn complaints from drivers who say it's an Orwellian intrusion by government into the lives of citizens." 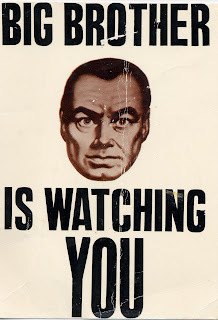 Of course, "Orwellian" is probably too big a word for our dumbed-down populace. At least that must be what the advocates of this sort of heavy-handed tyranny must hope. I prefer to believe that Americans are not this dumb. We are distracted. Pay no attention to those transponders in your cell phones... and now your cars.... Look! Paris Hilton forgot to wear her undies! Well, we'd better stop being distracted. Think, if you still can. A government that can track where you're going, when you're going, the route you're taking... such a government can tell you (quite effectively) not to go, close the route you choose... or be waiting for you upon your arrival. I, for one, will not submit to shackles easily. This guy is joshing me, right? I've operated this blog now for over three years -- I'm rapidly closing in on 1000 posts, a milestone that will almost certainly be reached by the end of the first week of March. Quantity, not quality, that's the motto of this blog! Anyway, my many posts get the top of this page for a day or two at most, then sink gradually into the uncharted mists of the Blogosphere. But search engines may still find the older posts, sometimes. Usually -- almost always -- the searcher clicks on and off, disappointed, in a matter of seconds. Whatever he or she was looking for, my old post was just not it. But sometimes -- rarely -- a post that's nearly a year old may attract a comment... and not just from an automated spam program. I cite as an example one of my April 14, 2008 posts, An Ode to Spider Solitaire. That post was (1) an admission of my addiction to the Spider Solitaire game and (2) a confession of just how bad I am at it, especially at the "Difficult" (four suit) level. I called Spider Solitaire my "secret shame." I was loathe to write about the game, even on this anonymous blog, because, as I conceded, "Frankly, I [am] just so pathetic at Spider Solitaire that I didn't want the world to know I was hooked -- and lousy at it." And now the stage is set for me to tell you what happened earlier this week, when someone, who calls himself Gary, came across that Spider Solitaire post and left a comment. You'd think I'd be happy to get a comment, especially on a stale old post. After all, that's the kind of thing that might give a writer hope that his writing can -- eventually -- maybe -- some day -- attract lots of readers. You know, on my writing's own merit? But Gary's comment did not give me hope. It put me instead into a deep, dark depression. My wife and I both found spider solitaire - and we love it. For some reason it clicks with my brain. While I consider my patience level normal, for this game I seem to have endless patience. I've gotten quite good, and with the four-suit difficulty, I've currently played 38 games, won 37. I'm on a 27 game winning streak. Twenty-seven game winning streak? Does NASA know about this guy? The CIA? Maybe this guy should be overseeing the economic recovery program. Maybe he should be inventing the economic recovery program. Or is it just that I'm so pathetic at the game -- current stats 174 wins... 1042 losses... winning percentage still a dismal 14% -- that Gary is the norm and I'm... well... stupid? Or maybe he's pulling my leg? 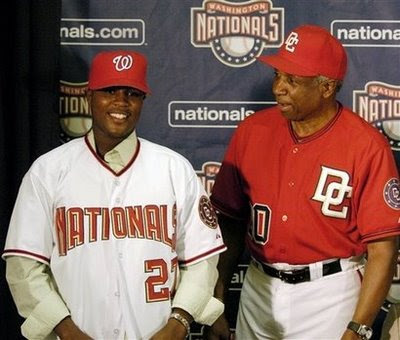 Dominican shortstop prospect Esmailyn “Smiley” Gonzalez was signed as a 16 year old by the Washington Nationals in July 2006. That's young Mr. Gonzalez pictured above, in 2006, standing next to then-manager Frank Robinson. Except, it turns out, Mr. Gonzalez was not as young as he claimed. Duh, you say, and I might join you in that. Just this morning, on the train, I read an article by Chris De Luca in the Sun-Times about Jose Contreras' remarkable recovery from an injury last season that was believed to be career threatening... particularly for a man his age. Mr. Contreras had a long and successful career in Cuba before making his way to the United States. How long? Some people, unkind people, say Contreras and Fidel Castro used to pitch together in high school. I remember when Contreras was injured, last August. I saw him sprawled out on the ground and I remember thinking -- oh no, I hope it's not a hip injury. Hip injuries are tough on old people. And, yet, this morning, Mr. De Luca gives Contreras' age as 37. 37? Mr. Contreras wears a number 52 on the back of his White Sox uniform -- and most people would guess that's nearer his age, give or take, than 37. The only people who shave more years off their age than Latin ballplayers are Hollywood actresses. Well, it turns out, Mr. Gonzalez was not only not 16 when he was signed, he wasn't even Mr. Gonzalez. His real name is Carlos David Alvarez Lugo. He's really 23 now, four full years older than the Nationals thought. But what makes this story really newsworthy is that the deception has apparently been documented. However -- whatever this guy's name really is -- he did hit .343 in the rookie-level Gulf Coast League last season. He was the league's MVP. You'd think that would count for something. And it probably will... when the dust settles. Even Nationals President Stan Kasten, who's crying fraud about the revelations, is quoted in Fendrich's article as saying, "I would say clearly he [Gonzalez a/k/a Lugo] remains a prospect — but I would say a very different kind of prospect — today." If Gonzalez/Lugo is traded for just one individual, will that be considered a 2 for 1 deal? Another illustration of this sad truth comes in this AP story out of suburban Buffalo (the link is to WBBM Newsradio 780 in Chicago, where Long Suffering Spouse first heard the story and called it to my attention) about Muzzammil "Mo" Hassan, a cable TV executive, accused of beheading his wife and business partner, Aasiya Hassan. In happier days, the couple operated Bridges TV, a cable channel which, according to Carolyn Thompson's article, was started to promote understanding between Muslim and American cultures. The resemblances between Mrs. Hassan's murder and "honor killings" allegedly tolerated in Pakistan and India have been noted in several news accounts. I'd like to focus on another aspect of this tragedy. Mrs. Hassan recently filed for divorce. Police had been called to the Hassan home on domestic dispute calls prior to the divorce filing, according to Thompson's story. An earlier version of her story, and Gene Warner's article in the Buffalo News, confirm that Mrs. Hassan also obtained an order of protection from the court when she filed the divorce action. The person who has obtained such an order has a piece of paper proclaiming that she (it's usually a woman who obtains such an order) is under the protection of the court; that anyone who violates the terms of the order (by, for example, failing to move out, stalking, making harassing phone calls) will face punishment. Here are links to an Interim/Plenary Order of Protection and an Emergency Order of Protection on the website of the Cook County Circuit Court Clerk. They are sternly worded. And they are made of paper. A male who would beat his wife or child will not necessarily change his ways because he has received a piece of paper. It's not as if he didn't know -- however dimly -- that beating one's spouse is frowned upon in polite company. Instead, all too often, the recipient of such an order goes berserk, inflicting even more harm -- maybe even killing -- the person who'd sought the court's protection. This doesn't mean a victim of violence must continue living with abuse. But I just grieve when I read about another person who's been killed clutching an order of protection. It is not a magic talisman. It is not a shield. It is not bulletproof. It is only a paper. Women who have obtained an order of protection must not believe themselves immune to further abuse; they need to be just as wary as they were before they ever went to court -- just as vigilant, just as cautious. The best protection against an abuser is to get away and stay away. I believe in the rule of law. I believe in the power of court orders. But I know that these powers are limited. It is reported that Mrs. Hassan's head was found near her body at the cable TV station. I'd be willing to bet that her order of protection was nearby, too. Passwords? We don't need no stinkin' passwords! I put a check for this month's auto insurance payment in the mail yesterday. Now there's a declarative sentence that should be rejected as too banal even for Twitter -- but it's the reason why I put the darn thing in the mail (late) that provokes this post. You see, I have tried to pay this monthly bill online from time to time. There are always problems. First of all, this site has assigned me a different username than what I use on the myriad of other bill-paying sites I have occasion to visit. I think. I can't be sure. I can't be sure because the site has become even more oppressive than most: Three unsuccessful log-in attempts and an invisible electronic curtain descends. The would-be user is locked out. With the three strikes and you're out lockdown system, I have almost no hope of remembering the right username and password combination in time. I suppose I could write all the different site usernames and passwords down... BUT THAT WOULD DEFEAT THE PURPOSE, WOULDN'T IT? Sorry for shouting. It just makes me so crazy. On this site, when I realize I'm locked out, I have to email customer service for help. Within a day or two they will send me an email telling me there are two separate emails awaiting me on a separate, protected site, giving me a "temporary" password I can use to access the two emails. Why two? The first will tell me my username. The second will give me yet another temporary password which I must reset on first use of the site I wanted to get to some days earlier -- you know... for paying the bill, the one which by now is certainly late? Armed with this information, I go back to the site and log in. I am required to choose a new password. Now this site does not allow me to use the combination of letters and numbers I use elsewhere. Too many characters for this site. So I must improvise. Yet, invariably -- invariably, I say -- I choose exactly the password I couldn't remember in the first place. At least, that's what the site tells me -- when it refuses to accept the proposed password. Cannot use existing password, it says. So I vary it again. Now I've chosen the password I will forget next month -- when I will again get locked out, send the emails, navigate the secure site and log in on my latest temporary password. Then I'll enter this month's password... and be required to choose the password I'd forgotten the month before. So, yesterday, I broke the cycle. I sent a paper check. It's still late. But it's sooooooo much easier. But let's just think about this problem for a millisecond, shall we? Let's analyze it. This is what computer programmers are supposed to do, right? I am attempting to access a site to pay a bill. There's very little I could buy on this site, and though I suppose I could change policy information, dropping or adding cars or something, these options could very easily be cordoned off behind a password screen. But why in the blazes do I need a password to pay a bill? Is there a real danger that some person desirous of stealing my identity will log on to my many, many bills and pay them? I may earnestly pray that such a person exists -- but I know, deep down inside, in that secret place that still yearns for Santa Claus, the Easter Bunny, and the Tooth Fairy, that there is no such person. Why don't the goofs who design these sites also know this? Why do they design sites that provide such a vigorous defense against this non-existent phantom? Can someone provide me an explanation? This week Heads or Tails, the legendary Tuesday meme created by Barb directs us to write about "legend." Some say it was eventually posted, late, but no one ever saw it. Some say it was merely promised, but never posted at all. -- How much like a writer! these people say. -- Or like a lawyer, for that matter (say others) promising much and delivering little. There were some who wanted to search for it. A cryptic comment had been left on the HOT site, promising a post. Maybe this would be the post that explains it all. Some believe that there exists a number of chimpanzees which, if equipped with an equal number of typewriters, would eventually churn out the works of Shakespeare. (Of course, a lot of editing would be required... and sanitation, too, probably....) There are tens of millions of bloggers, all banging away on keyboards, some obsessed, some lonely, some bored, some just procrastinating. Surely in this near infinite universe of bloggers, some post, some time, will say something truly important and truly universal. Such a post would indeed be the worthy object of a Quest. If, of course, it existed. And why would someone say that a post was forthcoming... and then fail to deliver it? Unless... unless... the post was delivered... hidden in plain sight in the Blogosphere... proclaiming that universal truth that so many had sought. Maybe this delayed post might be The One. But only those truly interested -- those truly desirous -- those truly worthy -- would seek it out. Only to find this post? How disappointing for all of us. Dictionary.com defines "mission creep" as "the gradual process by which a campaign or mission's objectives change over time, [especially] with undesirable consequences." It's a term developed by and about the military, but the term was certainly applicable to what befell me this past weekend. Youngest Son is learning to drive. He must get 50 hours of parent-supervised driving practice in order to obtain his license (double what his older siblings had to do). That's a lot of hours -- especially when his primary driving destination -- his school -- is only 15 to 30 minutes away, depending on traffic. So -- I thought -- it would be good to find a destination that would take him hours to reach. But -- even though gas prices have settled at around $2 a gallon -- I couldn't see justify pointing the car in a given direction and seeing which way the wind blew us. How could I ever face Al Gore again? No, there would have to be a purpose. Older Daughter supplied that purpose. You'll recall she's getting married... in Indianapolis. In the last several weeks she's picked out a reception hall and identified a hotel that she thought might suit the out of town guests. I printed out directions to these places and to the church. I wanted, I told my wife, to go out and examine the locus in quo. The first complication was baseball. Youngest Son has hopes of making the sophomore team. While he might have missed a voluntary Saturday workout in January -- he said -- we're only a couple of weeks from tryouts now. There's no way he'd miss on Saturday. So our departure would have to be delayed until after practice. Early, still, on a Saturday morning -- but any delay means an increase in traffic. Any traffic at all on the same road as a student driver only drives up the stress levels of the person required to accompany said student. The next complication was that this past Saturday was also Older Daughter's birthday. Well, in that case, Long Suffering Spouse said she would have to come along then and we'd have to do something for our daughter's birthday. Older Daughter was thrilled. She and her fiance could show us all these locations... and then she proposed we spend some time with the pending in-laws. It was at this point that I lost it. Bad enough that we had to wait for baseball. Bad enough that Long Suffering Spouse was coming -- there's a reason why she's had me do almost all the driver training with all five kids: She's a nervous wreck with a student driver behind the wheel. And she lets everyone know it. But I understood that baseball was going to claim priority. And I understood that Long Suffering Spouse would have to come; I even understood that we'd have to visit with our daughter. But I couldn't stand the prospect of making nice with the pending in-laws on top of everything else. Just getting there was going to be exhausting -- and we were losing track of the purpose of the exercise, namely, getting Youngest Son some hours of driving practice. And then baseball practice ran late Saturday morning. Not real late, mind you, just about an hour or so. And Older Daughter called, all a-twitter, excited that we were on our way. Only we weren't -- yet. And she was still pushing that we include pending mother-in-law in the luncheon plans. I screamed dark threats and imprecations. Long Suffering Spouse covered the receiver and papered it over. Finally, Youngest Son called -- finally ready. I went to get him. He drove back and stayed behind the wheel as I shooed Long Suffering Spouse into the van. She didn't start complaining until I told him to head east from the driveway, not west. The Skyway route is more challenging for the novice driver, even at non-peak periods. Privately, I would have been much happier to be leaving at 7:30 am than 9:30 am -- but I still figured this route was doable. Long Suffering Spouse differed. Loudly. Still, we got on the Kennedy without incident, if slightly deafened. I got Youngest Son to maneuver to the left hane land so he could get into the Express Lanes. There are no trucks allowed in the Express Lanes. I always feel that increases my odds. I wanted Youngest Son to get to the left hand lane once he got into the Express Lanes as well. And I was telling him, "Go when it is safe to do so" -- even as he was moving without looking. I'll repeat that last part. Long Suffering Spouse was looking, though. She was looking very closely at the overstuffed SUV that we were about to broadside and she let out a shriek that you probably heard Saturday morning and wondered why air raid sirens were going off. Certainly the other driver heard it. He swerved away. We swerved away, too. No metal was crumpled and no blood was spilled. Except perhaps the trickle that came out of my ear. But that was the worst, I suppose. At least it was the loudest. Long Suffering Spouse later told me she had her eyes closed for most of the Skyway. For his part, Youngest Son did very well on the drive. Of course, every time a truck passed, he swerved. He occasionally drifted too close to the center line. Other times he drifted too close to the shoulder. Long Suffering Spouse screamed nearly every single time. Have you figured out yet why I didn't want to make nice with the pending mother-in-law, whom I've met only once and then just to say hello to? We did visit the places we came to find. We did take Older Daughter and her fiance to lunch. I understand that the pending mother-in-law is kind of miffed at us for not including her. The fact that I hadn't wanted to include any of them was completely forgotten. I drove home. Youngest Son slept most of the way, understandably exhausted from his effort. Long Suffering Spouse, still on edge, didn't scream nearly as much. But, on occasion, she couldn't help herself. No, this is not a detailed analysis of the near-trillion dollar porkmobile that was rushed through Congress because new President Obama feels he must be seen as doing something. I refer instead to an AP story by Devlin Barrett, reported on ABC News (though I first saw a version of this story in the February 11 issue of the Chicago Daily Law Bulletin), in which we learn, from Barrett's account of testimony given by Deputy FBI Director John Pistole to the Senate Judiciary Committee, that the FBI is pursing 530 active corporate fraud investigations -- 38 of them involving some of the "biggest names in corporate finance in cases directly related to the current economic crisis" -- and some 1,800 mortgage fraud investigations, more than double the number of such investigations a year ago. In fact, according to Barrett's account of Pistole's testimony, there are so many mortgage fraud investigations that the Bureau "is not focusing on individual purchasers, but industry professionals generating fraud schemes." Pistole told the Senate that these might total hundreds of millions of dollars. For my money, you can remove the "might." Lawyers, brokers and real estate professionals are being investigated for "systematically trying to defraud the system," Pistole said. While the politicians were trying to stimulate job creation, one might have hoped they'd create a whole bunch of new investigative positions at the FBI and a bunch of new Assistant U.S. Attorneys to prosecute these crimes. That, of course, would have been useful -- so I assume (without knowing for certain) -- that it didn't happen. We'll just have to muddle through with the people we have. But -- you want to restore confidence in the financial markets? In the banks? In the currency? Put the crooks in jail! Knowing that the FBI is apparently really and truly trying to do just that stimulates me, at least. It seemed like such a miraculous, happy story at first -- octuplets, born alive, all apparently likely to survive. With the mother's identity initially shrouded in secrecy, we filled in the blanks in our imaginations... a married couple, we assumed, anguishing over infertility issues, joyous at the news of a long-awaited pregnancy, overwhelmed by the number of babies. I sure didn't imagine Nadya Suleman, 33 years old, unmarried, with six kids already, and on food stamps. I haven't watched the full interviews she's given; I've only seen clips. Perhaps the clips are designed to make her look and sound particularly creepy. Perhaps that's how she really is. But she couldn't imagine discarding healthy embryos started in a fertility lab -- so she took the risk, to herself and to her unborn babies, of taking them all. But why was she seeking fertility treatments in the first place? Meanwhile, this week's Newsweek carries this column by Anna Quindlen (reprinted today in the Chicago Sun-Times) about the abortion pill. Take a pill. Stop a baby. It grieves me that a supposedly enlightened, progressive society can take such a cavalier attitude about destroying unborn children. Ms. Quindlen would argue that the abortion pill is taken very early in a pregnancy, while the fetus is still largely undeveloped. If you took a survey, you'd probably find that most people -- however squeamish they are about abortion -- would support a woman's right to use an abortion pill in the earliest weeks of an unplanned pregnancy. I think most people would be appalled. They would say that what happened to the Williams baby was unspeakably wrong. It was murder, nothing less. You see, most people can find clear ethical positions in extreme cases. The aborted Williams baby, born alive and hidden on the 'clinic' roof, there to rot away in the semi-tropical Florida sun. The irresponsibility of Nadya Suleman and those who catered to her whim to have a huge family she could not hope to support. It is said that 'hard cases make bad law.' But what are 'hard cases'? Not the cases of Ms. Suleman or the case of a baby born alive at -- and left to die on the roof of -- a Florida abortion clinic. These are easy cases. We can readily identify the 'bad guys.' No, hard cases are ones where both sides have good points, where any result, no matter how painstakingly arrived at, will injure someone who arguably should not be injured. Can these extreme cases can help us discern shared ethical principals so we can work backward to the 'hard cases' and apply them? Or would that be too awkward? 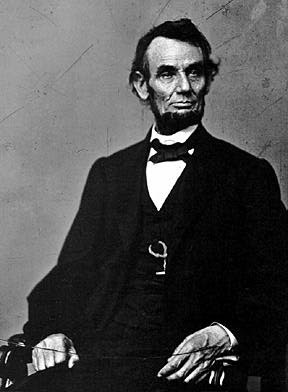 Today is the 200th anniversary of Abraham Lincoln's birth. In honor of this self-educated, self-made leader, Chicago public schools are closed today: Learn at home today, kids, just like ol' Abe. 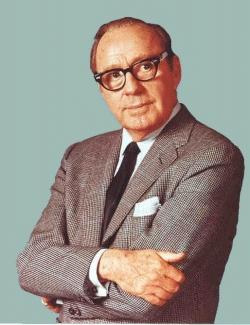 If Jack Benny were alive today, he'd be turning... 39. Special birthday bonus: Here's a link to Ken Levine's August 2007 post about missing a Beatles concert so he could see Jack Benny in Vegas. "I made the right choice," Levine concludes. "That night at Sahara's he was sensational. No one who went to the Beatles concert could hear a note." Be sure to watch the videos embedded in the Levine post. The Fourth Municipal District Courthouse in Maywood (often called Maybrook) is clearly visible from the Eisenhower Expressway and almost impossible to reach by car. There are parking lots around the building, and some of these may be used by visitors, but they fill up quickly. Most of the parking is along an access road -- Maybrook Drive -- leading from First Avenue into the courthouse complex (the Cook County Sheriff has a major facility next door). Even these remote parking spaces fill up quickly. I needed to go there yesterday to review a couple of court files. I'd been putting the task off -- the problems of getting in and out are more than enough to discourage anyone who doesn't have to be there. By yesterday, however, I could put off the chore no longer -- the client was getting anxious -- and it was a beautiful day. I thought to wait -- just a little -- before setting out from home yesterday morning in the hopes of coming in as the first wave of traffic court defendants were coming out. That way, I thought, I might snag a decent parking space. I was wrong, of course. And two freight trains, one of them stalled for several minutes, made the trip just about intolerable. After carefully driving through all the nearby spaces and seeing how my parking plan had failed, I found a spot at least a half mile distant (not an exaggeration) along the access road. The Maybrook Courthouse is a rusty looking building. The dominant color inside is brown. Both civil and criminal cases are handled there. The atmosphere is grim -- criminal courthouses tend not to be happy places. I got in line at the Clerk's office on the building's second floor. The first wave of traffic court (or misdemeanor) defendants had crashed upon this shore and there were many waiting in line in the Clerk's small quarters for various reasons other than payment (I believe fines are paid elsewhere). I was next in line when a little old lady asked to cut in front of me. Seems she'd received a form from this office that someone in another office told her was inadequate to her purpose, whatever that may have been. She seemed to think it a simple matter of exchanging the wrong form for the right one. I knew better -- but I stood aside anyway. The man behind me -- apparently not a lawyer -- didn't object. Eventually, though, it was my turn to be served and I requested the two files I had come to examine. The Clerk's Office in Maywood is a huge square room. The public is herded into a much smaller square just inside the doors. From here, one can see rows of desks staffed with various people seemingly hard at work on various tasks. Police officers from various municipalities were weaving past these desks, cutting through on their way to court or back to the street, saying hello to persons they knew. Around the far walls of the square were shelves holding rows and rows of court files. The two I wanted were not among these. That's what I was told, several minutes after the clerk who'd noted the file numbers went off in search of them. Actually, he brought back a file -- but it was neither of the ones I was seeking. The clerk turned to his computer terminal and, in due course, determined that my files were in the courtroom where both cases are assigned. They were there because they were too large to be toted around. Ah, I said. Someone will have to get them and bring them up, he said. It'll be awhile, he said. Have a seat, he said. I did sit -- for awhile -- but I surrendered it to a mother and child. The mother thought she could keep her child better in check if they were both seated. I'm sure she was right. I hadn't brought much else to read, but I had something. I read it s..l..o..w..l..y, standing in a corner as much out of the way as I could be. A young man pulling a cart came into the office. My files, I guessed. Five minutes later, my hunch was proved correct. Normally files are reviewed at the counter. IDs are confiscated as well -- because, believe it or not, lawyers have been known to sneak documents out of court files, or swipe the files altogether. (This despite the warning on the file request form that such filching is a Class 4 Felony.) But, given the small amount of available counter space, I asked if I might not use a side room I'd scoped out during the course of my wait. There were terminals there for members of the public to search computerized court records but these terminals were each housed in little carrels and I thought I could clear enough desk space to allow me to look at what I'd come to look at. The clerk thought about it -- I was suggesting something out of the usual procedure -- but he agreed. It took some time to plow through the material. This was a consequence of both the bulk of material and its content. Eventually, though, I identified a few documents that I would need to copy in order to further my task for my client. I went back out into the main room and hefted the files onto the counter. Is there any way, I asked, that I can get some documents copied? It is possible, at the Clerk's office downtown, to copy a document or two from a court file. But the copy machines represent a rare profit center for our cash-strapped county and they are priced accordingly. The copy machines are in full view of the counter so (in theory at least) the Clerk's employees can see if someone is plundering a file instead of copying it. The Clerk will also undertake larger copying jobs, for a significant fee, though it might take a day or two. Since I could see no public copier in the vicinity of the Clerk's office in Maywood -- there wouldn't have been room for any people at all had there been a machine there -- I figured I'd have to make arrangements with the Clerk's office to handle my copying. I hoped I had enough cash to make whatever down payment might be required. I regretted my failure to bring an office check. With all this figuring and hoping and regretting I almost didn't hear the Clerk tell me I could just take the files across the hall to the Law Library and make whatever copies I needed. You mean I can walk out the door with the files, I asked? They'd shoot someone downtown if they caught him trying that one. But the young man behind the counter assured me that this was the way they did things there. Imagine. I was treated just like a human being! And the copier in the Law Library was far less pricey than its downtown cousins. It almost made up for the parking... and the interminable wait... well, almost. Mayor Daley won't be adding this article by Kurt Badenhausen, of Forbes.com, posted today on Yahoo! Real Estate, to the 2016 Olympic bid package. Chicago, according to Mr. Badenhausen's article, has zoomed by Detroit to take third place on the list of America's Most Miserable Cities, bested (worsted?) only by Stockton, California and Memphis, Tennessee (they're still mourning Elvis' leaving the planet down there). Illinois' record of public corruption, particularly in the governor's office, is staggering. Five of the past nine governors have been charged with crimes, and three, as of now, have served time in prison. Whether former Gov. Blagojevich will do any jail time is still to be determined. The misery in Chicago runs much deeper than just corruption, though. Unemployment is expected to surge to 9.2% in 2009, up from 6.6%. The Tribune Co. is mired in bankruptcy, while big local employers like Midway Games, Motorola and the University of Chicago Medical Center have all announced big layoffs. And then there's the weather. It is rare indeed for Chicago to have not even one January day where the temperature reaches 40. But that was our January this year. It was beautiful this past Saturday -- if temperatures in the 50's are your idea of beauty. It met our very low criteria here, let me tell you. Water was everywhere -- and mud -- and well preserved doggie doo. And, yet, everyone in Chicago who could stand upright, it seems, went for a walk on Saturday. Even me. Detroit relinquished its 2007 crown of most miserable city despite a memorable 2008 that included a jailed mayor, the further deterioration of the auto industry and the NFL's first zero-win, 16-loss season. The Motor City benefited from our revised criteria this year (we added sales tax and sports teams in addition to corruption). Its 6% sales tax is one of the lowest in the country. The success of Detroit's winter sports teams more than offset the ineptitude of the Lions. The Red Wings and Pistons won two-thirds of their games, including a Stanley Cup title for the Wings. The Big Three automakers are spiraling into bankruptcy and yet Chicago is more miserable than Detroit? Note: Second City Cop linked to the original Forbes.com post (a link that will probably last longer than the Yahoo! one). Fabulous. I miss two weeks worth of Heads or Tails due to work and illness, and I find that Barb wants us to write about "love." There's a reason I chose "Curmudgeon" as a nom de plume, you know -- and it isn't because I get icky, sicky sentimental on command. I do get misty-eyed, of course; long-time readers have called me out on it in the past. But it's just not happening today. I mentioned 'illness' in the intro. There's nothing seriously wrong with me. I've had a cold now since about the beginning of 2009. Already on a low plateau, I went further downhill on Groundhog's Day. I stayed home on February 3 -- incapable even of following a movie on TV. By coincidence I had a doctor's appointment scheduled that evening. The sole accomplishment of my day was moving the appointment up a couple of hours. And now I'll have to go back next month, too: The doctor isn't used to seeing sick people. That's not how medicine works in America. So I have to go back when I'm healthy. And I'm so congested. My sinuses make the L.A. freeway system at rush hour look like deserted country roads. 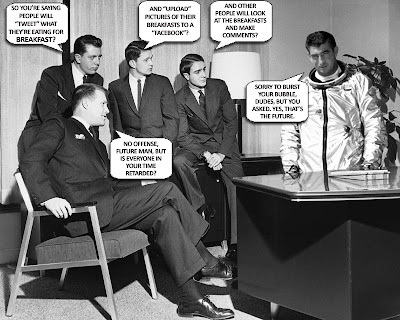 And oxygen deprivation takes its toll, you know: I've had a case of the stupids for what seems like forever. I was talking with an attorney about a pending motion the other day -- a motion that I'd written, and recently, too, so it should be fairly fresh in my mind. But I couldn't recall one of the key arguments. Which was OK because I blanked out on the client's name, too. I blow my nose constantly. Some people are noisier at this than others. I attract whole flocks of Canadian geese when I start honking. And you should see what a mess they make in a downtown skyscraper. How did they learn how to use elevators anyway? But apparently the worst comes at night. It seems that I snore. Snore? We live in the traffic pattern for O'Hare International Airport. It is not true that the control tower has called our house because the pilots can't hear their engines over my snoring. However, Long Suffering Spouse can't hear the planes. She gets awakened by my snoring; then she wakes me up to try and make me stop. Sometimes she tries extreme methods. Last night I woke up with my wife pressing a pillow over my face -- pressing hard -- and laughing maniacally. What did she think -- she could suffocate me? I haven't drawn a clear breath since Christmas. But snoring -- and murder attempts -- are not the only things keeping me awake at night. The experts tell us 'drink plenty of liquids' to fight a cold. I've been drinking liquids. Despite our snowy winter, the water level of Lake Michigan has dropped perceptibly I've drunk so much. Of course that means, when I'm not snoring, I'm trudging to and from the Little Curmudgeon's room. From Everyday People by Cathy Thorne (click to enlarge). Now, if you'll excuse me, I need to lay down for awhile. If all the stoplights in Milwaukee turned red at one time, our Irish history professor told us, and if the traffic signals stayed red for a period of days, people would starve to death in their cars. That's the German heritage of Milwaukee, our professor told us. This was over 30 years ago. I'm sure it was an exaggeration then, but a telling one; I don't know if Milwaukee residents would recognize any truth in it today, even as caricature. I rather doubt it. I doubt it because, in my experience at least, rule following is out of fashion. Stop signs -- even red lights -- are routinely ignored by impatient motorists... unless the intersection is monitored by a camera that issues tickets. The problem, as I see it, is that our society all too often now passes laws it has neither the means nor the intention to enforce. Take cell phone laws, for instance. We have a law in Chicago that makes it an offense to drive and talk on one's cell phone at the same time, unless the cell phone is used in a hands-free mode. Day after day though, in my neighborhood and in the Loop, I see car after car, driver after driver, one hand clamped on the wheel, the other pressing a cell phone to their ear. Some of these are police cars. On the rare occasion that someone is pulled over for using a cell phone while driving, the ticketed person will complain of selective enforcement. And he or she will be correct. When I was in college, the legal drinking age in Illinois was 19 for beer and wine, 21 for hard liquor. The legal age was 18 in neighboring Wisconsin. A lot of high school kids and college freshmen from Illinois died on U.S. 12 or 14 coming back from Lake Geneva, or on U.S. 41 coming back from Kenosha. While it was not for this reason alone, the federal government eventually stepped in -- and, in a classic display of recent federal contempt for federalism, mandated that all states raise their drinking ages to 21. The federal government didn't require compliance with this diktat, of course; the government merely threatened to not dispense federal highway funds to any state that chose not to comply. A similar threat prompted the states to 'voluntarily' reduce Interstate speed limits to 55. I was still quite close to 21 when these alcohol laws were changing and I therefore paid more attention than most. I remember in particular one state legislator saying in debate that raising the legal age to 21 would not cut off alcohol in colleges -- we know the college kids will continue to drink, he said, *nudge*, *nudge*, *wink*, *wink* -- but it will keep the stuff out of the high schools. In other words, the law was passed with no intent -- at least on the part of many -- to enforce it as written. I think we can all agree that the 55 mile per hour speed limit was also routinely ignored. Passing laws that we will not enforce -- or can not enforce -- creates contempt for all laws. It's been going on for at least a generation now. Thus, we have motorists breezing through red lights. Chatting on their cell phones continually while driving. Paying their taxes only when appointed to the Obama cabinet. My wife, a teacher, sees a growing contempt for the law in her junior high classes. When we were kids, cheating was rare. Yes, I once let a cheerleader copy off me in sophomore English -- and she still dated the quarterback instead of me. (Crime doesn't pay. Or it didn't.) But kids didn't cheat when I was a kid, not as a rule. My wife says kids cheat all the time now. It's the rare kid who doesn't cheat -- and this in a Catholic school. They expect to get away with it, too, and are astounded when she calls them on it. But I've always thought of Prohibition as the exception. Now, I think we're passing laws at all levels of society that we have no hope or intent of enforcing. If I'm right, this has to stop or respect for the law will continue in a downward spiral to anarchy. I'm not suggesting we all become Germanic and slavishly adhere to any law our masters impose upon us; rather, I'm suggesting that we prune our legal codes ruthlessly, throwing out laws that we don't want to enforce or can not enforce -- but enforcing what remains with vigor. It'll never happen, of course. But it should. I bookmarked this January 22 post by Tom Roeser awhile back intending to post about it. Mr. Roeser is an 80-year old conservative, Catholic Republican from Chicago. If I hadn't told you that, though, or if you didn't know it already, you might have guessed differently from reading the linked post -- at least you might have guessed differently until you got to about the third paragraph from the end. Now Hamilton, heady with victory over Jefferson, pressed his advantage. He called for creation of a national bank, the Bank of the United States, patterned after the Bank of England. He saw the bank as a depository for government funds, a means of transferring monies from one part of the country to another, a source of loans to the government and other banks and a device to regulate the money supply i.e. a 18th century version of the Federal Reserve. He didn’t like the idea of government issuing paper money because governments, he said wisely, are not noted for self-discipline. Jefferson saw this as a violation of the Constitution which doesn’t mention a bank, as a giveaway to the rich, He despised banks and stimulated a fear of powerful financial institutions in his followers. To the argument that the Constitution didn’t provide for a bank, Hamilton invented the concept of “implied powers.” Oh-oh: danger signal. That concept has been with us for two centuries. Implied powers was an invention, Jefferson said, and potentially a deadly threat to liberty. It could be stretched to embrace anything the politicians want. You know what? He was right. Roeser proceeds to give his reading of American history showing instance after instance where the interests of Order triumphed over those of Liberty. He asks, "How can we rectify the imbalance and return our polity to the old tennis game format where there is a force for liberty balanced against a force for order?" This is a valid and important question. You may not agree with Mr. Roeser's answers. I certainly don't agree that America should undo the principle of "judicial review," established by Marbury v. Madison. I can't imagine what could realistically take its place. Still, I have to agree that all too often, the legislative and executive branches of government have abandoned all pretense of being constrained by the Constitution. Laws are routinely proposed, and sometimes passed, at all levels of government, that ignore or even deliberately trample seemingly obvious constitutional principles. If there's something fundamentally wrong with a statute, the legislators may say (on the rare occasions that they are asked), that the courts will fix it -- or throw it out altogether. In a textbook example of irony, however, judges occasionally let dubious laws stand, deferring to legislative judgment under the principle that all statutes are presumed constitutional. (For an illustration of the principle -- meaning I express no opinion here about the ordinance being construed -- see Napleton v. Village of Hinsdale, 229 Ill.2d 296, 306-07, 891 N.E.2d 839 (2008): "Statutes are presumed constitutional, and the burden of rebutting that presumption is on the party challenging the validity of the statute to clearly demonstrate a constitutional violation. [Citation omitted.] This court has a duty to uphold the constitutionality of a statute when reasonably possible [citation] and, therefore, if a statute's construction is doubtful, a court will resolve the doubt in favor of the statute's validity.") Failing to defer, you see, will be decried as "judicial activism." Judicial activism can be the best, and is sometimes the only, defense against legislative or executive tyranny. Henry Ford said, "History is bunk." Too many have believed him. Benjamin Franklin said, "They who can give up essential liberty to obtain a little temporary safety deserve neither liberty nor safety." That pretty much describes our society today. We'd better start by educating those near and dear to us and hope the ripples spread. Yesterday I was yukking it up here about the failure of several Obama appointees to properly pay all of their taxes. Thus inspired, I thought I'd finish preparing the Curmudgeon family tax returns. As a good Catholic, I guess I'm not supposed to believe in karma -- but I don't know what else to call my encounter yesterday with the 1098-T. I am not a tax lawyer. I've always made it a point of pride, though, to do my own personal taxes. It shouldn't be that hard: I spend more than I make, own little and owe much. There are no trust funds or capital gains issues in the Curmudgeon household. More's the pity. Also, I use Turbo Tax. That means I "do" my taxes by plugging in numbers like a robot when prompted by the software. This is sometimes referred to as the 'plug and chug' method. Even then I can get into trouble... as I did yesterday. Middle Son and Younger Daughter are both in college. That means I receive from 1098-T's from both their schools. This apparently has something to do with the tuition the schools charge and the tuition that I actually paid -- but, as I learned yesterday, it doesn't actually reflect either one. Turbo Tax asked a seemingly innocuous question about whether all the expenses shown in Box 2 on the 1098-T were 'qualified.' I don't remember the exact question now. It was a question sufficient, however, to derail me from the safe plug and chug track. I wasn't so desperate as to consult the IRS 1040 Instructions (now there's 161 pages of scintillating reading to warm those cold winter nights!) but I did feel obliged to pull out the kids' tuition bills and see if I could figure out where the numbers on the IRS form came from. We'll use Younger Daughter's 1098-T as an example. Since she's a freshman, I paid only one semester's worth of tuition for her in 2008. The 1098-T issued by her school showed some $12,000 in box 2. You might think, therefore, that something on that first semester bill would correspond to the number disclosed by the school on the 1098-T. The 2008 tuition bill, though, showed a total amount due of around $15,000 for tuition. To this were added various fees for room, board, activities, proclivities and general tendencies. Offsetting this figure were several credits. One was a 'scholarship' for having graduated from a Catholic high school. Another may have been issued for successfully fogging a mirror. I could sort of figure out what the loans were... but was this line -- called a 'grant' -- a loan or a scholarship? What about that one? The only thing that was abundantly clear on this statement was the sum that the school expected me to pay. Anyone who has sent a kid to college in recent years knows about FAFSA. That's the 'free application for federal student aid.' Essentially, in the FAFSA you disclose everything you currently have, might have, and someday hope to have, including all your tax information. From this, the government calculates what you should be able to pay for tuition. A good rule of thumb with FAFSA is that the government always thinks you can pay about three times as much as you do. The school generally thinks that you can do better than FAFSA thinks you can. The school's faith in your ability to pay is reflected in the amount of tuition demanded. I may not know how that bottom line number was calculated, but I knew what it was. But neither this number, nor any combination of any numbers on the school's tuition bill added up to the $12,000 amount disclosed in Box 2 of Younger Daughter's 1098-T. I tried them all. I also tried dividing by my zip code and multiplying by my shoe size -- but I could not arrive at the number in that little box. In despair, I gave up. I answered the Turbo Tax question 'yes.' But I have no idea whether I was right or wrong. And then it hit me: I had squandered the morning, and I'd acted in the utmost good faith -- but I still don't know that my taxes were correctly done on this point. I am comforted by the fact that all these machinations were devoted to the very narrow question of whether or not I could claim a $2,000 credit for college tuition paid in 2008. Since I paid lots more than $2,000 I'm pretty sure that the return is technically correct. But I am also certain that this debacle was my karmic punishment for cracking wise about other peoples' tax problems. Not so super thoughts from Super Bowl Sunday?